Need a piece of stainless steel for your next project? 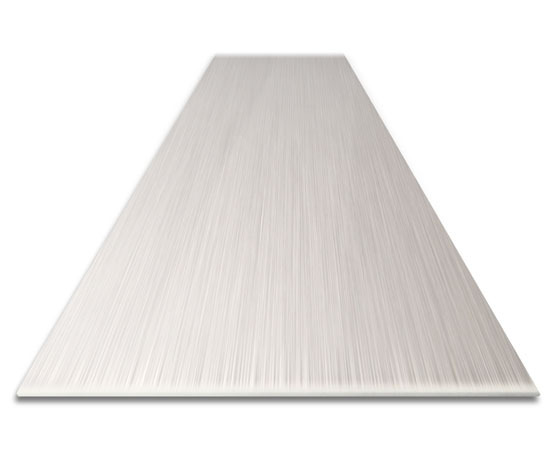 Get your stainless steel here - any size you need up to 4'x10' sheets. This is the same real commercial grade stainless steel like you see on high end kitchen appliances and machinery. It comes standard with a #4 brushed finish and it is magnetic (magnets will stick to it). Easy to cut, drill, form, etc. I am really impressed. I just received the materials I ordered. Dimensions were exact and the material is much nicer and better quality than I had anticipated. Most impressive was the packaging. This aluminum tread plate was packaged like a piece of fine art. Great job. I'll be back.